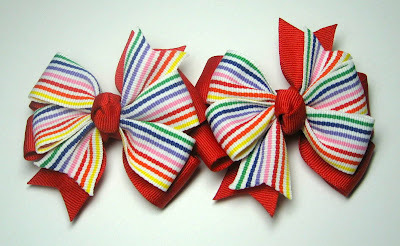 Isn't that striped ribbon so fun?! This is the Candy Stripe Grosgrain, and I paired it with some 7/8" Red Grosgrain. adorable! I love that ribbon, it makes perfect bows. pretty, pretty! Love the bows! The box is adorable. Great job! Hope Avery wears the bows to school or church! Kerri, this is just beautiful. I love your colors and your ribbon flowers are wonderful. Thanks for sharing. I just love your box and the ribbon flowers. WOWZER! SO ELEGANT! I made this box too for tomorrows YNS. Your so rocks! OH WOW Kerri this is GORGEOUS!!!! I LOVE the kraft and blue!!! Fantastic box and love love those flowers!!!! hope you had a wonderful long weekend!!!! Your box is gorgeous!!! I love that saying so much. Your ribbon flowers kick things up a notch, too. 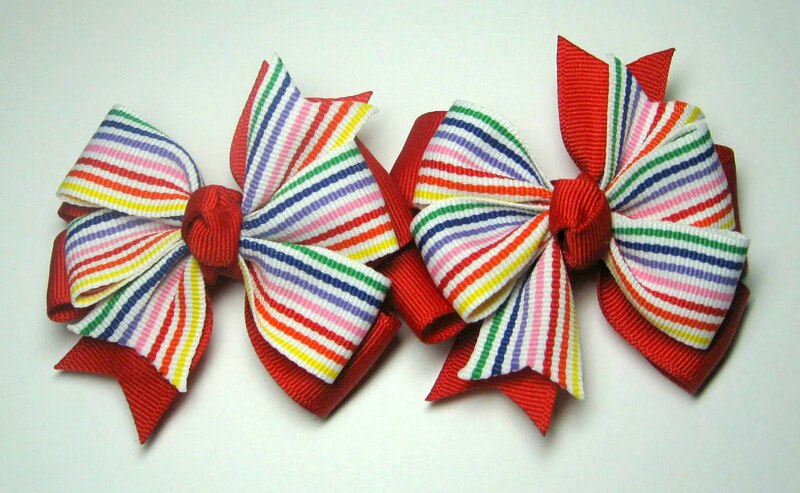 And the hairbows are fabulous...I'm not letting my daughter sneak a peak or she'll want cute bows! This is so beautiful Kerri. Very beautiful, Kerri! I love the pretty ribbon flowers you created! And your hairbows always on the list of my favorites! Gorgeuos! What a wonderul box Kerri and I love your bows. 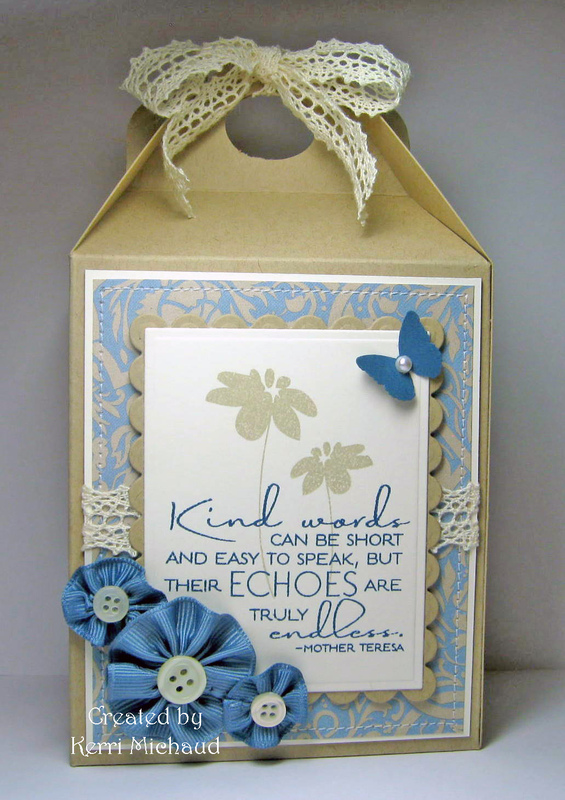 Beautiful work, Kerri! I love your hair bows! (Sigh...) This is just so beautiful Kerri. I'm going to get this template for sure. Love the color combo and that stamp set is just so elegant. Can you tell me how to make those yo-yo ribbon flowers? Is it easy? I REALLY want to make some, they are so sweet and cute!!! Great job with the box. Love the bows too! Beautiful box and presentation for a gift!